It's important to understand where your ads appear on the search results page. Contrary to common perception, average position is not meant to describe where the ad appears on the page. Average position reflects the order that your ad appears versus the other ads in the ad auction. For instance, an ad position of “1” means that your ad shows ahead of all other ads, but it doesn't necessarily mean the ad was at the very top of the page. Sometimes, there are no ads displayed at the top of a search results page above organic search results. It can be confusing. 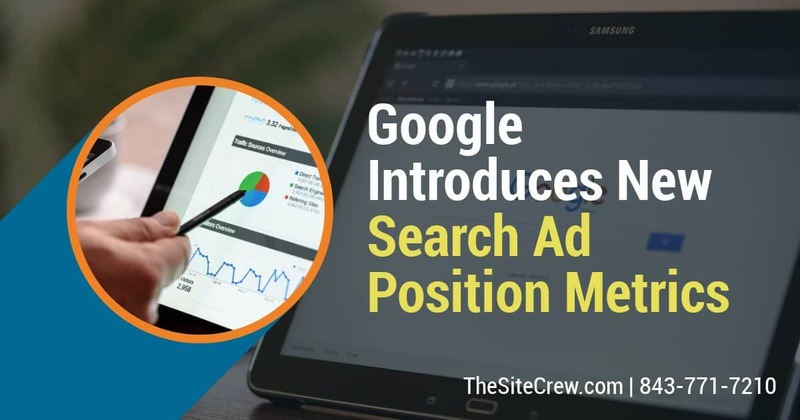 That’s why Google is rolling out four new metrics that – unlike average position – provide clear insights on where your ads are appearing on the search results page. Please contact us about your Google Ads. Our agency is recognized as a trusted business partner by Google. As a Google Partner, we are prepared to help your business succeed with Google Ads.